An image of mercy and affection, Holy Mother Sri Maa’s creation, Sidhshakti Mahamantra is bestowed to all the people in this world to fulfil their desires. As the Sri Sidhshakti Mahamantra blends with the rhythm of our breath, we feel that we get unified with the power of this mahamantra. Everything – our words, thoughts, resolution, mantra, becomes silent automatically. A simplicity, purity, deep peace, bliss, starts to reside within the body, heart, life force energy and the soul. We meet the internal power within us, which opens the gate of godliness. The meditator experiences a divine bliss within and becomes one with unique supreme powers. The heart becomes silent and speech becomes wordless. He starts to submerge within the waves of happiness, and the soul becomes more and more satisfied with every passing second. Every moment there is a cosmic dance. The living being surrenders and his heart filled with brightness begins to dance like a peacock. In these moments of meeting God there is a shower of innumerable grace and blessings. The darkness of life turns into light. The internal and the external become one and unidirectional. The fragrant air of unique bliss and divine peace starts to spread. The supreme energy of Sidhshakti and the blessings of holy mother Sri Maa are contained within this invaluable spiritual mantra granted upon us by Sri Maa. 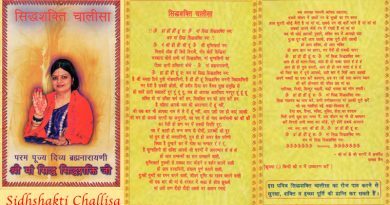 Sidhshakti Mahamantra is the compilation of all the supreme supernatural powers, which fills us with the light of heavenly powers. Many people realize it by chanting the mantra themselves. They feel and see the powers. They get the for-sightedness (Divya Drishti) by accepting and chanting it. The Mahamantra came into existence once when Sri Maa was under deep meditation. 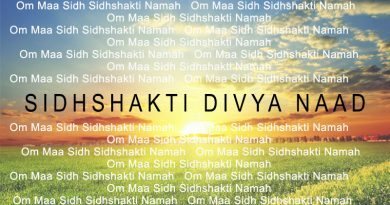 She saw and heard this “Om Maa Sidhshakti Namah” Mantra. She was then guided by the universal energy to guide and serve mankind with this Mantra. After few days, she saw and heard the Mantra “Om Maa Sidh Sidhshakti Namah”. The universal energy then guided her that the “Sidh” which is added to the old mantra has been derived from an ancient energy “Maa Sidh”. Thus this Mahamantra contains all the universal energies in itself, which is why it is capable of solving every kind of problem. Five words – symbolizes five elements i.e. air, water, earth, fire and ether. Collection of 17 consonants in Hindi: 1+7=8 and digit 8 is complete in itself. Om – It is the first sound of the universe (Brahm Naad) and symbolizes the masculine energies that created this world. Maa – symbolizes the feminine energies who is birth giving “Dharti Vachak” – Nature, Earth, Universe. Sidh – The word “Sidh” is derived from the ancient energy “Maa Sidh”. 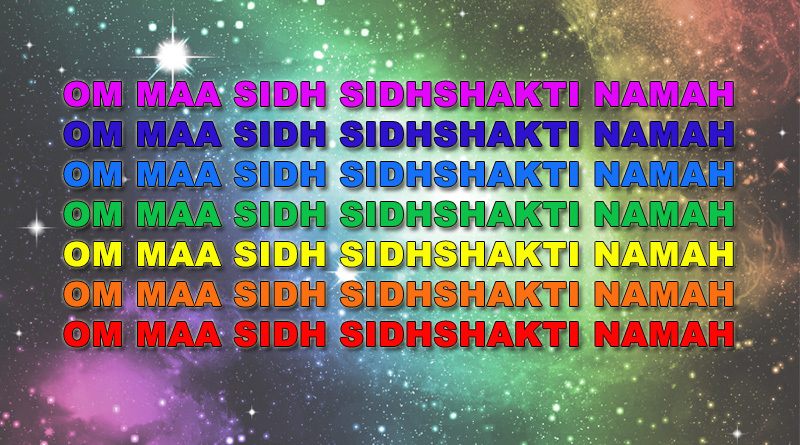 Sidhshakti – symbolizes the energies created with the unification of universal male and female energy. Namah – we give our salutation or greeting to them. Red color symbolizes the supreme power. Internal Chanting: In this way, the chanting is purely performed at mental level, without the movements of lips and tongue. The purpose of this process is to have self progress on spiritual path, enhancing energy level of the body, mind and soul. Soft Chanting: This process requires the chanting, which is audible only to oneself. The purpose of this method is to remove negative energies and form a protection shield around self. Loud Chanting: This method can be practiced either by CDs and cassettes by playing it loudly or chanting it vocally. Chanting with open eyes: Here chanting is practiced by keeping eyes open, no matter where one is (office, home etc.) at any point of time. Through this process one gets happiness and success in what he is doing. Chanting with closed eyes at a permanent place: This process is recommended as the ultimate way of praying. It provides him the inner most, blissful feelings, generating positive vibrations in and around the permanent sitting place, with ultimate harmony with the divine leading to spiritual progress. The most beneficial position is with Eyes closed in a Permanent place and internal chanting. With the chanting of this Mahamantra, universal powers rises, which also gives self-confidence. The scientific base of this Mahamantra is 17 digits i.e. 1+7=8. And eight is complete in itself. This Mahamantra can make any kind of a person – pious and pure like Ganga and can cut every sin and prarabdhas of the person. If you want to get rid of tension, stress, depression, then with the chanting of this mantra you’ll feel at peace and happiness. You will achieve contentment and your mind will get free from all worries and tensions. It enhances the mental as well as psychological level of the person. It gives a new energy to the body and the inner self of the person. Sri Sidhshakti Mahamantra is one of the precious pearl in all the mantras, with the dedicated and easy chanting of which a person can fulfil all his desires. The Sri Sidhshakti Mahamantra is capable of removing all the hindrances and obstacles that come our way. The electro-magnetic field which is produced by chanting this mahamantra purifies the environment of the chanter/devotee. The place becomes pure where the Sri Sidhshakti Mahamantra chants continuously. It provides every kind of prosperity and universal powers. One can get Asht Siddhi (8 yogic accomplishments) with its chanting and Kundlini meditation. Chanting of this mantra unifies you and your heart with the universal powers and gives eternal peace. One feels protected and can get rid of every kind of disease/ illness with the chanting of this mantra. The chanter/devotee of this mantra can easily achieve success with the chanting and hearing of this mantra. As the sun removes the darkness from the whole world, Sri Sidhshakti Mahamantra removes the darkness from the mind and soul of the person. It gives us the divine knowledge. It removes every kind of illusion, ignorance and false knowledge. It blesses us with the holy site of the creator of this universe. The pleasure and delight of its hearing is incredible, supernatural and inexpressible. Keeping the written Sri Sidhshakti Mahamantra in itself makes you feel close to universal powers. The body becomes powerful, glowing, energetic and starts to shine. There is no restriction and rule of chanting and hearing of this mantra. 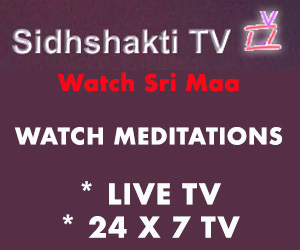 Sri Sidhshakti Mahamantra is one of the highest meditation in itself. Its powers, dignity and greatness are great. The Sidhshakti Mahamantra contains within itself the potential of uncountable supreme powers. The only requirement is to call out with faith, to reflect upon it deeply, to trust, to listen, to chant it with feelings of complete submission. Note: The experience and benefits of chanting Sidhshakti Mahamantra varies from person to person and also depend upon the devotion with which you use it.